Vikie Shanks was born in 1958 in Aden ( now South Yemen ), where her father was stationed in the RAF, the youngest of three children, and lived from the age of five in Waterbeach near Cambridge. At the age of seventeen she left home and moved to London to start work as a trainee buyer in Harrods but left after a year and became a croupier. After two years working in London and a further year in Spain she became a full time model back in the UK. Aged twenty five she met Paul Shanks, who was to become her husband and father to her seven children, whom it transpired was mentally very ill and he committed suicide aged 51. Since 2007 she has been a single mother to her seven autistic children - the two youngest also have Cerebral Palsy. She continues to run the Corporate Entertainment business that Paul and she ran together when he was alive. ‘Kingdom of Us’, based on Vickie Shanks’ memoir Unraveled, has picked up the Best Single Documentary at the Grierson Awards. Kingdom of Us, Lucy Cohen’s documentary about the Shanks family based on VIkie Shanks’s memoir Unravelled has been short-listed for a BAFTA for Outstanding Debut by a British Writer, Director, or Producer. The prize-giving is on 18th February. Vikie Shanks was on Woman’s Hour this week, discussing her book Unravelled, and the resulting Netflix film Kingdom of Us. You can listen again here (interview starts at 18.36). “In a strong and diverse documentary selection, Lucy Cohen’s impressive debut Kingdom of Us equally fascinated and moved us all. It captures an extraordinary level of family intimacy in its delicate exploration of grief and memory. The inspirational author of Unravelled, Vikie Shanks, was featured this week in the Daily Express. Vikie Shanks, author of the inspirational memoir Unravelled, did the newspaper review on BBC Coventry and Warwickshire on Saturday. You can hear it here (starts at 38.00). Vikie Shanks has given a powerful talk at TEDx, which can now be watched online. Should we really continue to pity those on the autism spectrum? Or, is it time to reexamine how we approach mental health? Vikie Shanks shares a paradigm shift she went through with her own children. 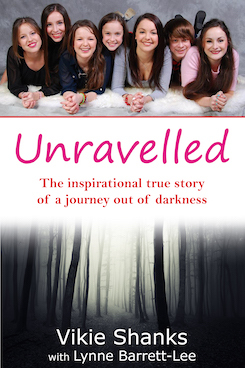 Vikie Shanks, author of the inspirational memoir Unravelled, was interviewed this week on BBC Radio. You hear the full interview here (starts at 1.35). The inspiring Vikie Shanks, author of Unravelled, has been nominated for a Woman Who… award, for her work in the community. Vikie Shanks was on the Graham Torrington show, promoting her powerful memoir Unravelled. You can hear the full interview here (begins at 1.23). Congratulations to Vikie Shanks, author of a forthcoming book on Autism, who won Carer of the Year for her Autism One on One support group at the Pride of Warwick District Awards last night. Vikie Shanks, the author of inspirational memoir Unravelled, was interview this week on Sky News. 20.10 Massive applause as Vikie announces to the room that her fashion-designer daughter made her dress! She looks absolutely stunning. 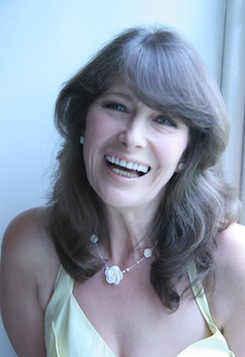 Vikie Shanks’ radio interview on the Lorna Bailey show is now available to listen again here. Vikie will also be on BBC One’s Inside Out programme this evening at 7.30pm. The video of Vikie Shanks’ talk at the NHS conference at Warwick University is now available to watch online here. Unravelled by Vikie Shanks has reached #57 in the Kindle bestseller list. The inspirational memoir Unravelled by Vikie Shanks has been selected as today’s Kindle Daily Deal, available for just 99p. Vikie Shanks’ TV interview with Ireland AM. Vikie has been generating a huge amount of coverage for her inspiring new memoir Unravelled, recently published by Thistle. Pippa, the daughter of Unravelled author Vikie Shanks, has written a blog for Gransnet. Vikie Shanks will be interviewed on Irish breakfast television on TV3 at 9.10am this morning. There was an additional editorial in Best magazine this week, praising the incredible example of Vikie Shanks, and inviting readers to nominate her for the magazine’s Bravest Women Awards. Best magazine has run a double-page spread on the inspirational Vikie Shanks and her powerful new memoir Unravelled. The inspiring Vikie Shanks will be interviewed on the BBC World Service this morning at 11am, promoting her memoir Unravelled, which was recently published by Thistle, and has been generating huge attention. Vikie Shanks was interviewed this week by Talk Radio Europe about her inspiring new memoir Unravelled, which is selling extremely well. Vikie Shanks’ powerful new memoir Unravelled: The inspirational true story of a journey out of darkness, published yesterday by Thistle, is already up to #123 in the Amazon chart, and in the top 10 ‘Movers & Shakers’. Vikie Shanks today launched the publication of her memoir Unravelled with an appearance on ITV’s This Morning. The book has gone straight into the Top 10 ‘Movers and Shakers’ on Amazon. Vikie Shanks and Lynne Barrett-Lee were interviewed on BBC radio about Vikie’s powerful new memoir Unravelled. Vikie Shanks recently gave an interview to the BBC, describing her experiences as a single mother to seven autistic children. The trailer for Vikie Shanks’ Unravelled, produced by Maurice Smith, has now been released.